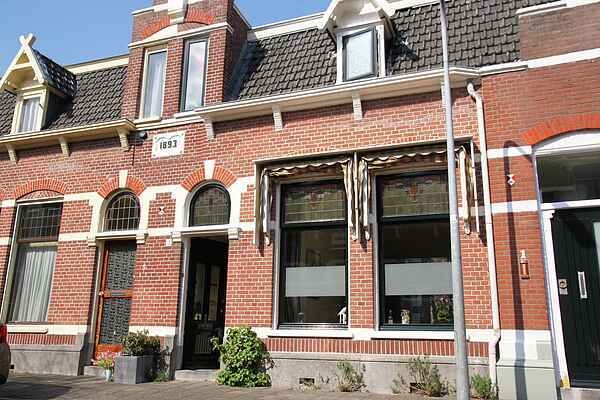 Lovely holiday home in a child-friendly residential area of Haarlem, Noord-Holland province, suitable for four persons. From this cozy holiday home, you can explore the atmospheric and vibrant city Haarlem, but lovers of the beach can already be in Bloemendaal or Zandvoort in a 30-minute bike ride. If you would you like to park your car down the street of your holiday home, then please let us know your licence plate details in advance. Haarlem centre lies within walking distance (15 minutes) from your holiday home. The charming, tastefully decorated living room has a lovely sitting area and there is a piano for those who play. The completely new kitchen is a lovely place to start the day with some nice breakfast. There is a lot of light here due to the expansion, and with nice weather you can open the French doors leading to the cosy, sunny and fully enclosed garden. The monumental city centre of Haarlem has plenty of sights and museums to see (for example the Frans Hals museum). The lively centre has a large variety of shops, cafes, and restaurants. Haarlem is one of the most varied shopping cities in the Netherlands, ideal for a day of shopping! The beach of Bloemendaal aan Zee lies only 8 km away and can be reached within a 10-minute car drive.